I have gone and done it. I have ordered guitar number 100. My wife will kill me but oh well. . . The next guitar coming my is a Lee Malia RD Artisan that I have ordered from Guitar Center. I have high hopes for this guitar. My objective is to do a shootout video comparing a 2018 Gibson RD Artist to the hopefully soon to be delivered Epiphone. I really am optimistic that the quality will be very nice on the Epi and want to see if it is on par with the Gibson or who knows, maybe superior. Has anyone out there played one of the Malia RD Artisans yet? What are your thoughts? Will I be disappointed going from a Gibson down to an Epi? Will it have neck dive (asking for Revolution Six)? I can't wait to get my hands on it to do a comparison. and own those pickups once they are dialed in.
" I have ordered guitar number 100 "
WAOOOW ! Your chinese copy will be a "pure collector"
Dude, some might say a Gibson Les Paul Tribute is just a cheapo Gibson that is not a proper Les Paul. Oh wait, you own one of those. You put binding on it to make it look like a real Les Paul, so why not buy a 'proper' Gibson? Could it be you can't afford one? 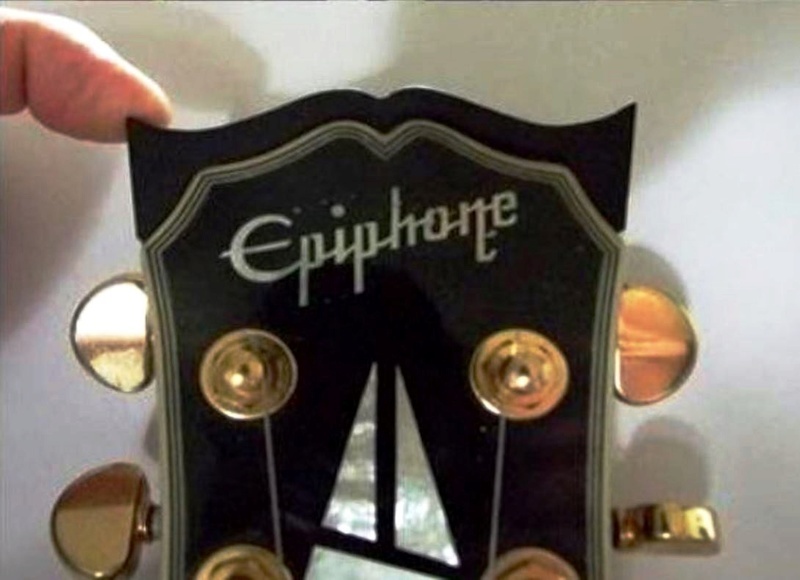 Guess what, Gibson Les Paul Tributes are never going to be collectors items, so why mock people who like Epiphone guitars? Megafrog, congrats on guitar number 100! Hope you enjoy the RD. I loved the look of his Epi LP Artisan. Our friend Rev 6 is just a troll. His tribute with the fake binding is now worth a fraction of what he paid for it and probably less than that Malia RD would sell for used but oh well. Yes, good point about his tribute His posts do annoy me, but I must learn to ignore him. His posts do annoy me, but I must learn to ignore him. Hey Rev 6, I will give you a hundred dollars now for that scratch and dent. Deal? I like it with the body binding, the clear coats give to the binding a perfect finish. Nice fake painted on binding bro!! What a stupid idea to begin with, but a 5 year old could have done a better job. Did you just freestyle it with Wite-Out?? Congrats on ruining a halfway decent entry level Gibson and turning it into a complete POS. BTW, it's worth nothing now. Great job! That's what I think. It is a pretty rough faux paint job in photoshop or something similar. He posted the link to it's thread. Click it. He actually did that. Ok Rev 6, $50 USD. Final offer.